Myofascial Release (MFR) is an advanced massage technique. Myo means muscle, and fascia means bandage or girdle. 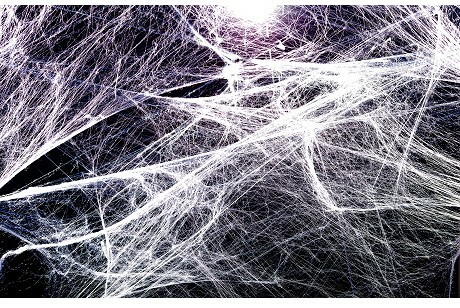 Fascia is a connective tissue which runs continuously throughout our entire body like a three-dimensional web. It is not only running through our muscles, but also our bones, organs, vessels and skin. Fascia gives us our shape and holds everything together. If you looked at the body as just a muscular system or skeletal system without fascia, you would see a pile of muscles and bones. When the fascia tightens it impacts your entire body. Sitting at your computer at work can put strain on your body, you may begin to feel your shoulders, upper back and neck begin to tighten and pull. Alternatively, when trying to move about freely for sports and daily activities, it suddenly becomes more difficult and can result in pain. MFR is an effective method that assists in you regaining healthy flexibility and movement necessary to live an active, pain free life. Myofascial release can be used as a standalone treatment if necessary but is often incorporated into treatments with other advanced massage techniques to achieve maximum results. To receive MFR can feel like the best stretch in the world as pressure is applied into areas of tightness, sometimes a warmth or sense of stretch or tension can be felt. As the tissue releases, restrictions soften, pain eases and body alignment changes. We rely almost exclusively upon ‘listening touch’ to accurately identify and assess the patients problem.